Ookay, here we go! First things first. 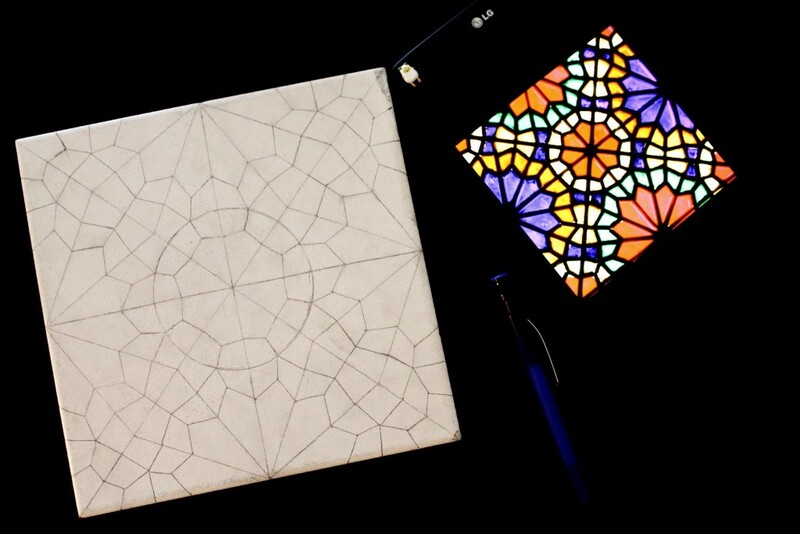 Before getting all messy with colors, grab your pencil and draw the pattern on the tile. This way, it gets much simpler to work on (and less messy!). 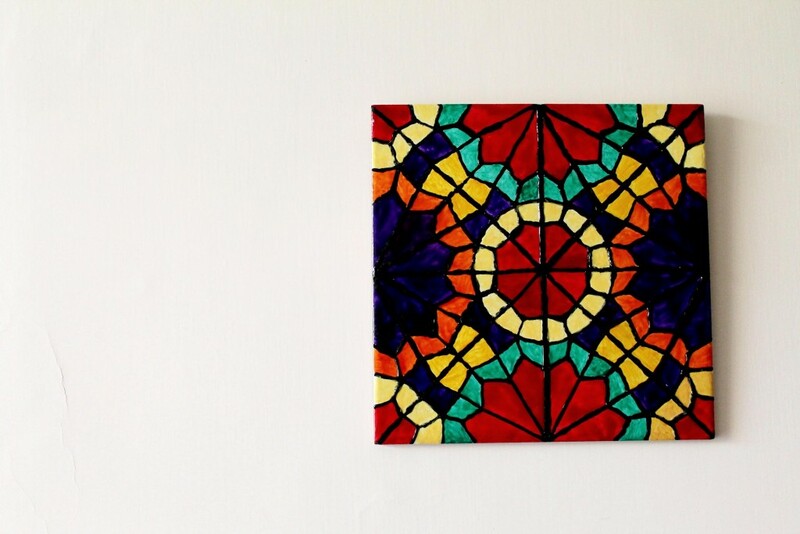 You can also print our design here and transfer it to the tile simply by using a carbon paper. 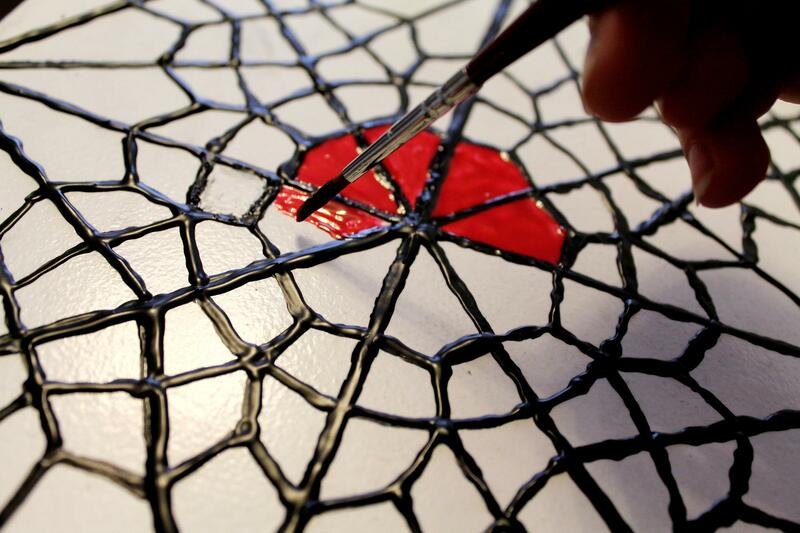 Now it’s time to cover the pencil marks with glass liner. Remember not to push the tube too hard. work fast and steady. It’s better if you practice a bit on a paper first. When you feel confident with the liner, get back to your DIY wall hanging and cover all the lines. When you’re done, let it completely –COMPLETELY- dry. Now this is the fun part! 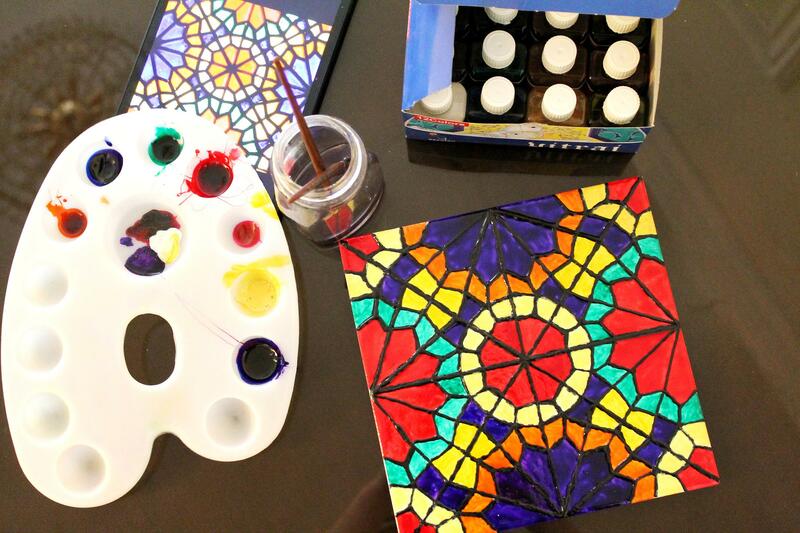 Bring your palette, put your colors in. Glass paint can be quite thick. 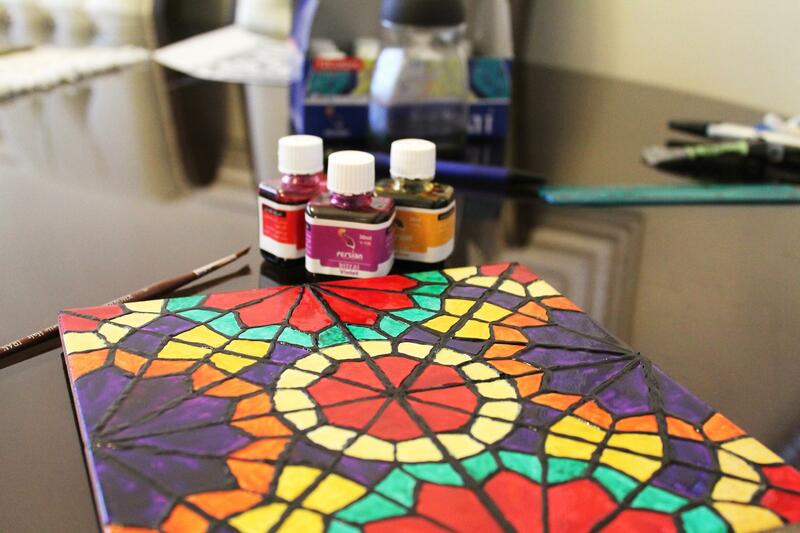 If you don’t like it, mix some thinner with the color until you’re satisfied with it. You can also make pale colors this way. 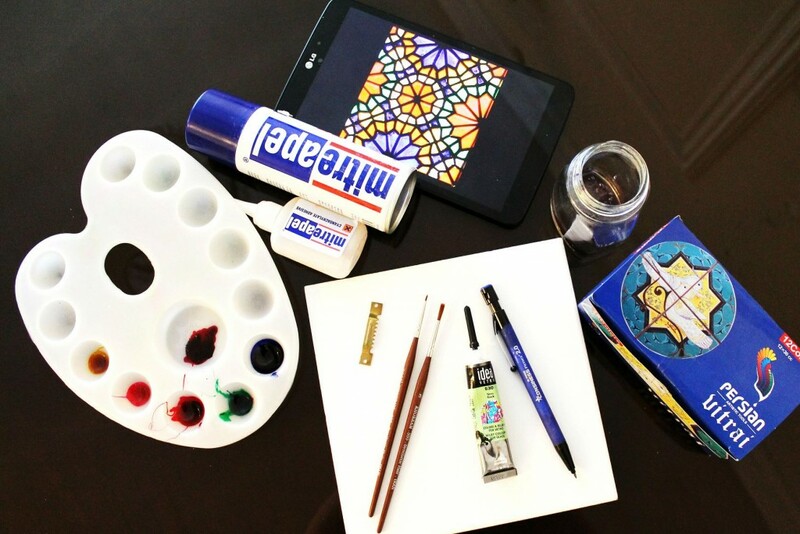 It’s time to call the artist in you! Color all the parts according to the pattern. And wait for your fabulous DIY wall hanging to dry! 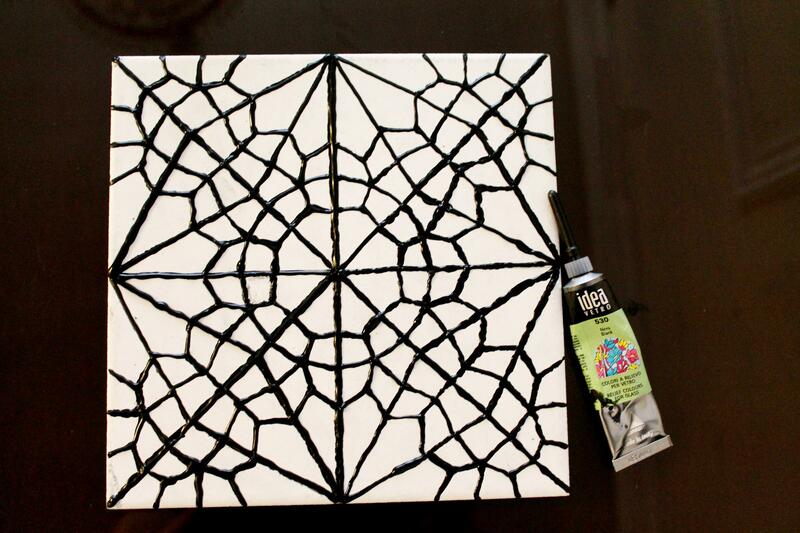 Just one thing left to do, glue the hanger to the back of your tile. This is why we have to use a strong glue. As we can’t drill the tile (we might be able to, but I just don’t want to – “drill” is such a tiring word to me) we have to use another trick. 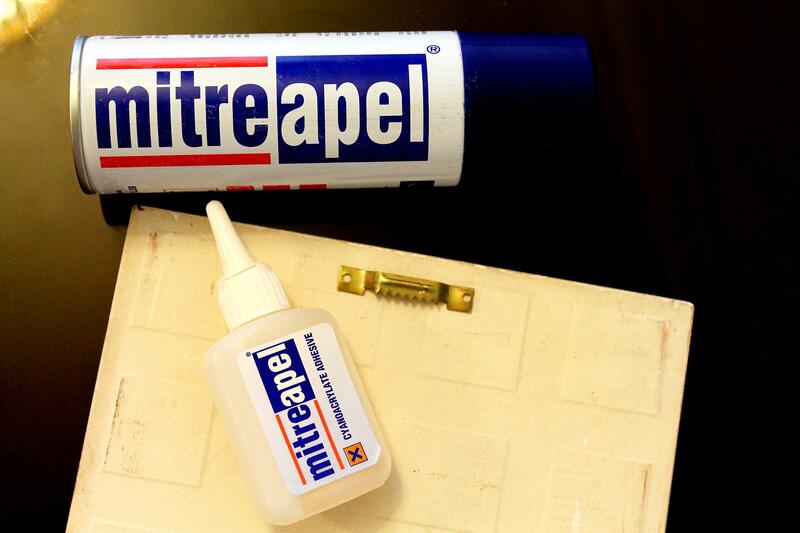 So…Make sure you glue it to the upper middle. And make sure it won’t come off. Ta-dah! Your gorgeous colorful hanging is ready! Hang it on the wall and enjoy the happiness it brings to your room! 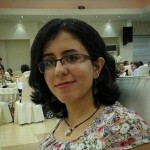 Fatemeh is the lead author on the team. She has studied civil engineering, but crafting is her passion. Not only she’s read a lot about Persian arts and crafts and looks forward to study in this field for M.A, she just adores participating in any course related, like pottery, knitting and wood carving. Maryam used to write since she was an adolescent, and continued her studies in literature in university. She discovered her passion for craftiness a few years ago, which is now her favorite hobby. 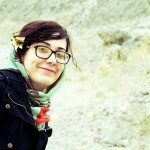 As a result, she puts Fatemeh’s crafty ideas to words, edits and translates the posts. She is currently studying Psychology for her M.A.